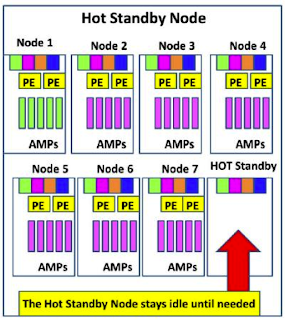 A Hot Standby Node (HSN) is a node that is a member of a clique that is not configured (initially) to execute any Teradata vprocs. 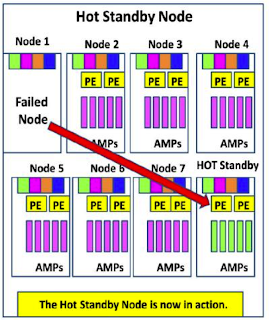 If a node in the clique fails, the AMPs from the failed node move to the hot standby node. The performance degradation is 0%. When the failed node is recovered/repaired and restarted, it becomes the new hot standby node. A second restart of Teradata is not needed. A node that is a member of a clique. Does not normally participate in the trusted parallel application (TPA). Can be brought into the configuration when a node fails in the clique. Eliminates the need for a restart to bring a failed node back into service. 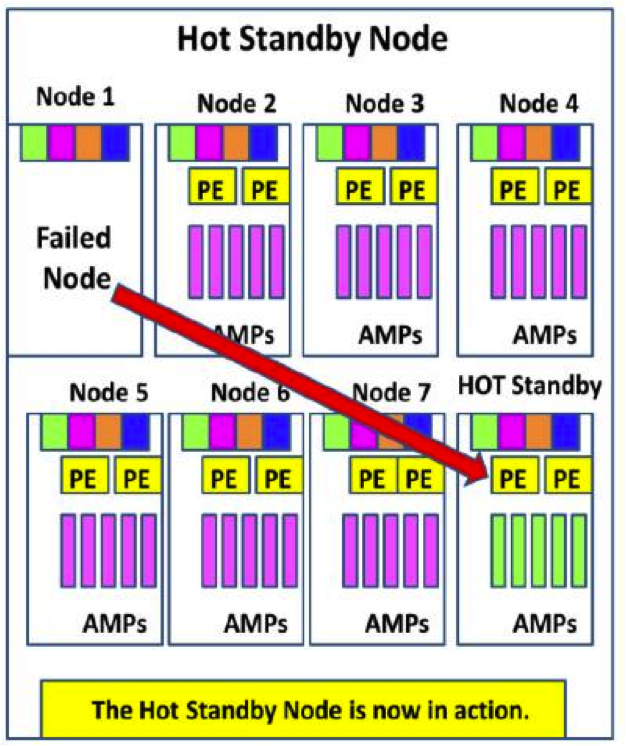 Notice in our picture that our first node is down, but that the AMPs and PEs migrated to our Hot Standby Node!